Great experience with Dr . Strother. He answered all questions that I had in a patient and insightful manner. I don’tthink I have ever waited for more than a couple minutes before each of my appointments, and the dental work itself is amazing. I feel comfortable before and after the appointment with no pain whatsoever. I feel very fortunate to have found Dr. Strother and his staff. Thank you everyone! Great experience with Dr . Strother. He answered all questions that I had in a patient and insightful manner. I don’t think I have ever waited for more than a coupleminutes before each of my appointments, and the dental work itself is amazing. I feel comfortable before and after the appointment with no pain whatsoever. I feel very fortunate to have found Dr. Strother and his staff. Thank you everyone! Dr. Strother is very professional and informative. He gave me a play-by-play commentary of his procedures (I received acleaning, filling and polish). Looking forward to seeing him again for my next regular dental checkup! Dr. Strother is very professional and informative. He gave me a play-by-play commentary of his procedures (I received a cleaning, filling and polish). Looking forward to seeing himagain for my next regular dental checkup! Dr. James Strother in La Jolla California.Dr. Strother was born in San Diego, but moved to the Midwest as a child. He earned his bachelor's and dental degree at Indiana University. He also completed a Master's degree in Restorative Dentistry at the University of Michigan in Ann Arbor Michigan, and has advanced training in Dental Materials from UCSF in San Francisco. Dr. Strother practiced dentistry in various locations for the U. S. Navy, including Okinawa, Japan, Great Lakes, Illinois and was on staff at the National Naval Medical Center, Bethesda, Maryland. In addition to practicing dentistry, he has been a mentor in several advanced education programs for Navy dentistry. 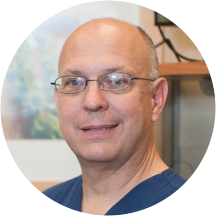 He is a member of the American Dental Association, Academy of General Dentistry, International Association of Dental Research, and is Board Certified in Operative Dentistry. Have been going to Dr. Strothers for years--I like him because he doesn't recommend treatments I don't need nor apply high pressure sales tactics (I have had dentists tell me I need thousands of dollars of immediate repairs given that Ihave fillings or crowns on all molars). He also suggests economical options when available or tells me when I can wait. My teeth are holding up very well under his care. I never have to wait--overall very pleased with the service. As expected and as usual, the visits was exceptional. For last five years, each time I visited, I have been diagnosed, explained, and treated accurately and professionally by Doctor Strother and his staff. Dr. Strother is exceptional. He has gone above and beyond in terms of my dental care with a very successful collagen membrane gum graft. He continued to check on me throughout the healing process, making any modifications needed to assure apositive outcome (and it was). After four years of trying various dentists around San Diego, I finally found a reliable and trustworthy one. Dr. Strother is extremely fair and honest and I would highly recommend him. Went in because I was having dental pain and wanted someone to take a look because I was out of town. Dr. Strother and his staff were extremely friendly and pleasant, I felt like one of their regular patients there! Ihighly recommend Dr. Strother to anyone who might need a new dentist, if I wasn't travelling back home he would surely be mine! Amazing! Professional and friendly team. Dr. Strother is an awesome dentist! He went over all of my x-rays with me in detail and checked everything with me and gave me an explanation. It was my first time there and I definitely felt great about my choiceof dentist. I would highly recommend him to everyone! After moving to San Diego several years ago, I went from one dentist to another, often being told I needed all sorts of expensive work done (like a deep cleaning). Feeling very apprehensive and skeptical of most of these recommendations, Igenerally said no (with the hope that I would find a dentist I had faith in). Fortunately, I was referred to Dr. Strother who confirmed what I truly needed for my dental health and what I didn't (like the deep cleaning). I'm so grateful to have found a reputable, honest and extremely fair dentist. I highly recommend him. Awesome. No wait time. Went for annual checkup. Exam, cleaning , and filling were done with follow appointment scheduled. He and his staff are extremely polite and will help you in making the best decision for your teeth and dental health. My daughter received veneers from here and they came out looking beautifully. I would most definitely recommend Dr. JamesStrother if you need any dental work to be done. I would definitely come to his office again! Had my root-canal done a few weeks ago, they finished by creating my crown and capped it today. They did an excellent job and highly recommend Dr. Strother and his staff. Best Dentist we have in a long time. Cortegous staff. Dr. Winter is very gentle, super attentive and over the top professional! My daughter won't see any other dentist but Dr. Winter. We highly recommend Dr. Strother and Dr. Winter. Dr. Strother is friendly and a true professional! The office is very clean and has a welcoming environment. I also love that the office is open on saturdays - so convenient. I highly recommend Dr. Strother and his team! The doctor is alright, but the DA did a good job at cleaning teeth. If you need a more complicated care for your teeth, you should consult with someone else. Dr. Strother and his staff are both friendly and very professional. I've never been made to wait and their pricing is fair. I highly recommend them. One of the most honest dentist I've ever met. Usually dentists are like con artist. But Dr. Strother was completely different and very helpful. I like Dr. Strothers because he doesn't try to scare me into procedures that I don't necessarily need and will offer lower cost options instead of pushing expensive treatments. I really appreciate his honesty. The service is always great, thestaff is friendly and they can usually get me in right away. I have been going to him for years and would recommend him to my friends. Dr Strother and his assistant Larisa are excellent at all the services they provide. I have regular teeth cleaning, had other dental work and always was greatly satisfied! He does care about his client with his heart. Thanks. I saw Dr. Karen Lynch today for ZOOM teeth whitening and it went great! My teeth look much better, and Dr. Lynch thoroughly explained the procedure beforehand, as well as checking frequently to make sure my teeth were not becoming toosensitive during the whitening process. She smoothed out some jagged areas on my front teeth as well, and what a difference! I'm very pleased with my results. The teeth cleaning was awful. They use this tool that makes your whole head vibrate. Not good at all for people with dental anxiety or fears. I had my annual exam and cleaning with Dr. Lynch. I was seen right on time for my appointment. She was very thorough and she was very gentle. I would recommend this office to anyone. Nurse get the cleaning done, it was not very painful. Doctor done the checkup and advised for cavity cleaning soon. Recommend . Really cares about his patients and takes the time to ensure the patient understands everything in his dental process. Also, James took the time to follow up with me several times to see how I was doing post root canals whichwas very telling. I would highly recommend Dr. James Strother. He also has the best hygienist. Very knowledgeable and patiently explained the conditions and choices of treatment. His assistant Leresa also did great job cleaning my teeth. A very professional, courteous dentist who answered all of my questions, made sure to fit my appointment in at the end of a weekday and made sure I was comfortable & informed during my visits. Both the doctor and hygienist were very personable and knowledgeable. He is very professional and kind. I highly recommend him. My appointments have been with Dr. Karen Lynch. Her bedside manner is matter of fact, which I really enjoy. I was seen right away for both appointments. The La Jolla office also has plenty of parking, and I recommend grabbing oneof the maps available for easily finding the suite. First of all, the availability of a Saturday appointment is a life saver! I needed a new dentist and with x-rays, the exam, and cleaning it seemed I was in and out very fast! His dental hygienist was wonderful. Dr. Strotheractually took the time to go over my x-rays in detail with me, not many others have done so. They didn't push cosmetic dentistry, nor did they try to push unnecessary procedures. It's happened in the past and a reason I'm always nervous to see someone new when I've moved! Great experience and wonderful personalities in the office to match! I only had a cleaning done and x-rays, but Dr,. Strother and staff were very thorough and very professional. Dr. Strother is the best all around skill, patience, & communication. Overall is professionalism & bedside manner is stupendous. Larissa is terrific as well she is knowledgeable and pleasant. They are a spectacular team!!! I was neglecting to have my regular dental checkup. But Dr. Strother’s office called and accommodated choice of days and times that I cannot refuse. I scheduled my appointment on Thursday at 6 pm so I didn’t have to take timeoff from my work. The Dr. and his assistant stayed late for my treatments that included checkup, deep cleaning, and a replacement crown/cap. Because of the state of the art equipment that they use, the treatment was done within two hours and I left with a new teeth and clean tooth. Received a text message reminder two hours prior to my appointment and their high-tech system got me conveniently checked in from my IPhone. I did not have to fill or sign any paper at the office. The office is located in a very good neighborhood and the facilities were very clean. I felt very safe visiting the building and surroundings. If you want a high-tech, convenience, safe location, with a superb dental treatment, visit Dr. Strother’s La Jolla Dental.